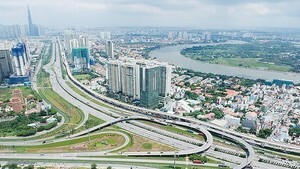 In a meeting with the Ho Chi Minh City Labor Union lately, Deputy Chairwoman of People’s Committee Nguyen Thi Thu proposed the union to work with the Department of Health to select some infirmaries near industrial parks and export processing zones to provide overtime medical treatment and examination for laborers. Deputy chairwoman Thu said that for past time, city leaders received complaints from workers in industrial and export processing zones that they had to spend half of day or ask for work leave for medical check-up or sometimes they had to ask for additional day for medical examination in hospitals. Accordingly, Ms. Thu ordered the health sector to invest in medical facilities nearby industrial and export processing zones which provide overtime healthcare for laborers. Providing good medical examination and treatment will help to raise workers’ living condition.